Founded in 2008, Wine Trees, LLC is a collection of thirty-some wine brands highlighting some of the world’s most exciting regions. And the Pacific Crest Trail wines is one of those collections. The Pacific Crest Trail is named after its namesake that spans over 2,600 miles, trekking up the United States west coast, and crosses some of the area's best wine growing regions. In Washington State, east of this trail is the rugged and fertile lands of Washington wine country producing wine grapes in elevations of up to 3,000 feet. 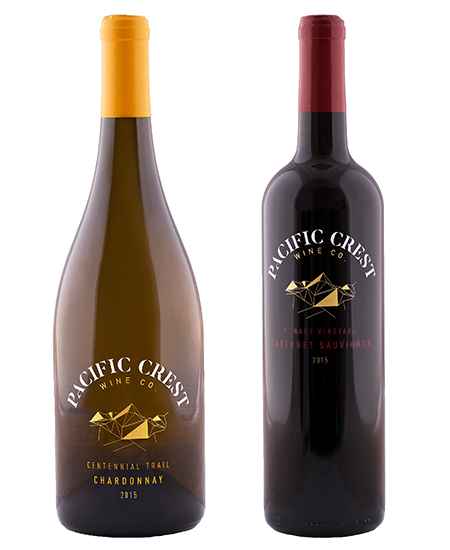 It's Pacific Crest Wine Co. quest to capture the essence with single vineyards that defines the Pacific Northwest - and with affordable prices. "Centennial Trail" Chardonnay - 2015: From the Columbia Valley there is a range of Chardonnay vineyards with profiles ranging from bright tropical fruits to fruits from the orchard. This is a wine that resembles notes from the orchards such as those located in the middle of the state. There are luscious notes of apple, cinnamon, nutmeg, honey, and buttery, but light brioche with a long finish. Easy to drink, especially in the summertime. I would recommend this with substantial salads, seafood, and light chicken dishes - and let's not forget the cheese and fruit platter. McNary Vineyard Cabernet Sauvignon - 2015: The McNary Vineyard is located in the Southeast corner of the Horse Heaven Hills AVA, a sub AVA in the larger Columbia Valley AVA. 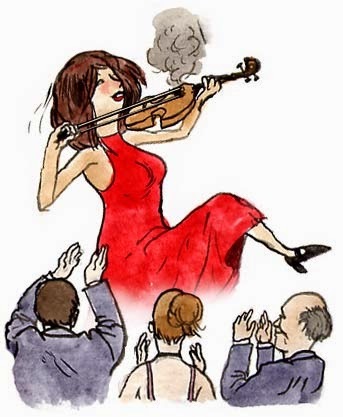 I could be wrong, but my palate can often tell the difference between a Cabernet Sauvignon or Merlot from the Columbia Valley and Walla Walla AVA. Walla Walla always shows off dark cherry notes, while those from the Columbia Valley showcase dark berries. Yup, with one sip I could tell this was a red wine from the Columbia Valley region with the notes of blackberry, a hint of mocha, and spice such as cloves and nutmeg in the long finish. With a price of under $20, this is the perfect wine for casual entertaining or movie night in front of the television. Give me a good ol' American burger for this wine - then again, perhaps a piece of prime rib during the holidays. 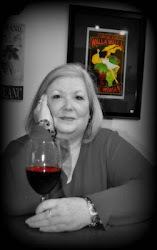 The Oregon Trails Wine Company is another one of the branches of the Wine Trees, LLC. This example of pinot noir represents the fertile hills of Willamette Valley, as well as saluting the brave explorers who traveled west on the Oregon Trail during the 1830s. 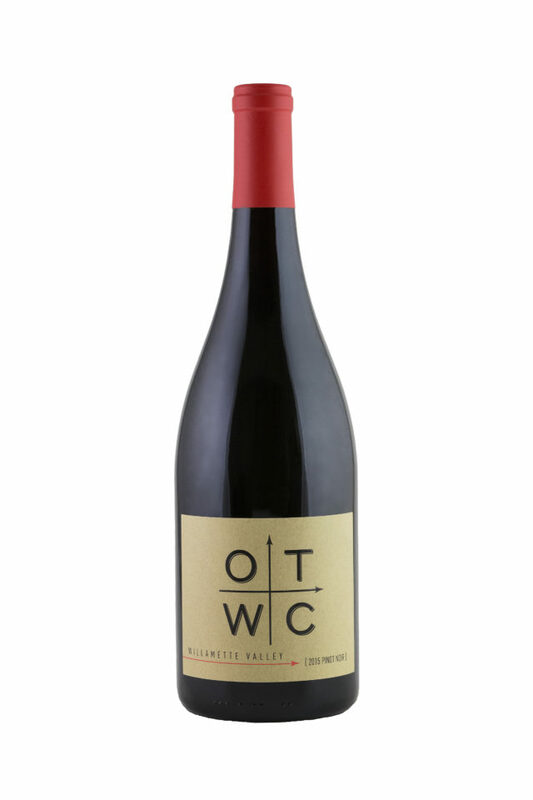 OTWC Willamette Valley Pinot Noir - 2016: It's a pretty color of garnets that flows into the glass. With a deep nose in the glass, it brings aromas of cranberry, currant jelly, and freshly baked cherry pie. On the palate, there are notes of fresh raspberries and strawberries - which are so typical of the Willamette Valley. The finish leaves behind spices such as cinnamon and nutmeg - and more cherry - reminiscent of cherry jam. It's a wine perfect for fall dining, such as with pork and turkey dishes, or even roasted vegetables. Again, I cannot stress the affordability of these wines which are perfect for entertaining or a quiet evening for one - or two. (Wines sent to me by Balzac Communications and Wine Marketing).